When you apply for bankruptcy, the widespread effects on your life can be greater than you imagine. 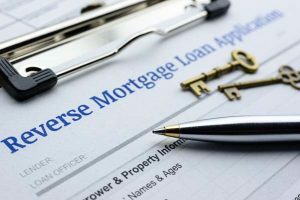 You may be aware of the negative impact on your credit score and credit report, but bankruptcy can also halt any loans payments received through a reverse mortgage. For many older homeowners, a reverse mortgage is a substantial part of their finances. Learn more about how bankruptcy and reverse mortgages are related. A reverse mortgage is a potential solution for older homeowners in need of extra income or helps with any emergency financial situations. To qualify; you must be over the age of 62 and own a home or pay a mortgage. A reverse mortgage consists of a lender paying you monthly payments borrowed from your home’s equity. You don’t have to pay back any payments received through a reverse mortgage while living in the home. If you leave your home by either sale or end-of-life, you or your family must repay the loan. This repayment is most commonly made by selling the property and the lender receiving the entirety of the sale, or if there is an overage, the lender only receives the outstanding balance they are owed. How Does Bankruptcy Affect a Reverse Mortgage? Bankruptcy can be incredibly complex and difficult to follow with extensive ramifications. A reverse mortgage won’t stop you from filing for bankruptcy, but bankruptcy will impact your reverse mortgage. Depending on the state you live in, you may not be able to protect 100% of your home’s equity. If this is the case, you may be in breach of contract depending on how much equity was determined in the original agreement with the lender. More often than not, clauses in your loan documents will end your monthly payments after filing for bankruptcy. Having a lawyer or credit counselor study your loan documents before filing can help navigate any hidden bankruptcy related pitfalls. Reverse mortgages are helpful for some homeowners in certain situations but are not a miracle fix for everyone. The Federal Trade Commission warns you to be vigilant of scams or misleading salespeople. If the lender offers suggestions for how to use your payments, this is a potential red flag and may signal an ulterior motive — often, lenders are trying to get you to sign up for more services. They are often just trying to get you to sign up for more of their services. The FTC gives this important tip- if you don’t understand the cost or features of a reverse mortgage, walk away. This financial option is a big decision; make sure you only enter it with 100% confidence. If your reverse mortgage payments are an essential part of your monthly budget, bankruptcy is not your best debt solution. Luckily there are other plans you can explore to change your financial situation without the more significant ramifications of bankruptcy. One such option is credit counseling through CreditGUARD. Our certified credit counselors can help you take positive steps with your debt through debt management plans and financial education. Call us today at 1-800-500-6489 to learn more about our financial education and debt management programs.